Yesterday’s post discussed what we know about Obamacare as its third open enrollment season commences. Here are four major questions about the future of Obamacare that remain unanswered. Can insurers make money in the exchanges without corporate welfare? Obamacare contains some very expensive sweeteners to entice insurance companies to sell through the exchanges. These include risk corridor payments and $20 billion over three years in inaptly named “reinsurance” payments, money government takes from participants in group health plans and gives to insurers that participate in the exchanges. Both are scheduled to end in 2017. The risk corridor payments – in which the government transfers money from insurers with “excess” profits to insurers with “excess” losses – have become politically problematic. They were expected to be budget neutral, since it was assumed that “excess” gains by some companies would offset “excess” losses by others. It hasn’t turned out that way. Insurers’ “excess” losses amounted to $2.9 billion in 2014, while their “excess” gains totaled just $360 million. The Administration wanted to force taxpayers to provide the $2.5 billion difference to plans with “excess” losses. Congress blocked those payments. A stopgap funding bill prohibits CMS from making risk corridor payments that exceed receipts. As a consequence, the companies that reported $2.9 billion in “excess” losses – rather than taxpayers – will have to eat the bulk of those losses. The Administration and the insurance lobby are pushing Congress to drop this limitation, which is set to expire December 11. The budget neutrality requirement on risk corridors has been one factor in the failure of (so far) eleven health insurance coops although, as Grace-Marie Turner has written, the co-ops have never been a viable proposition. But the restriction also has adversely affected large, publicly-traded companies. Then there are the “reinsurance” payments. The federal government gave insurers $10 billion in such payments last year. Despite this tsunami of free money, insurers managed to lose $2.5 billion in the individual market in 2014, an average of $163 per customer, according to research by McKinsey and Company. Large insurers with multiple lines of business can absorb such losses in the near term. Whether they can make a go of it in the long run without the narcotic of corporate welfare remains to be seen. Will more states expand Medicaid? Most of the net increase in health coverage is attributable to Medicaid enrollment in the states that expanded their programs. If most or all of the 20 states that have so far resisted expansion change their policies, then the number of newly insured people is likely to rise substantially in future years. Will exchange enrollment continue to underperform? HHS projects that only ten million people will be enrolled in coverage at the end of 2016. Even allowing for the fact that the Administration wants to manage expectations rather than deliver disappointing news in a Presidential election year, the estimate is a tacit admission that the exchanges won’t become a major source of coverage in the near future. This is a significant shift, since many analysts have long predicted that 2016 would be Obamacare’s breakout year. As Brian Blase of the Mercatus Institute has pointed out, CBO only four months ago forecast that 20 million people – twice the Administration’s most recent estimate – would enroll in 2016. That figure was already three million lower than a previous CBO estimate. CBO wasn’t alone. Blase notes that a variety of experts thought that plans sold through the exchanges would catch on by next year. The Urban Institute predicted there would be 23.1 million enrollees in 2016; the Obama Administration previously said there would be 24.8 million; the RAND Corporation anticipated that 27 million would sign up. All expected that the threat of IRS tax penalties, coupled with societal expectations, would induce most uninsured people to enroll in plans. That hasn’t happened. Health policy analyst Chris Jacobs has noted that some 19.5 million people either requested an exemption from the tax penalty or paid it — roughly twice as many as signed up for exchange-based coverage — a development that few experts foresaw. What’s going wrong? The answer may well be quite simple: most uninsured people who are in reasonably good health don’t want insurance coverage — unless its cost-sharing requirements are minimal and its premiums steeply discounted — and neither peer pressure nor fear of the IRS has changed their minds. How will Obamacare affect the 2016 elections … and vice-versa? Democratic Presidential candidates want to expand it; their GOP opponents want to repeal and replace it. Democrats believe they can convince most voters that repealing Obamacare is unrealistic and extreme. Republicans hope to use the law’s continued unpopularity to advance their White House bid. Whatever the outcome, the law itself will likely change in 2017 and beyond. Democrats can be expected to table costly proposals to make exchange-based coverage more viable and attractive, while Republicans will push to relax Washington’s grip on health insurance regulation, make a wider variety of insurance products available to consumers, and revamp and reduce federal subsidies. The law’s future depends less on the ideological aims of its supporters and detractors than on its practical effect on tens of millions of Americans. Obamacare has been a good thing for people whose medical bills might have driven them to bankruptcy, as well as for their providers, who can cut back on providing charity care. It also is covering millions of low-income people who otherwise could not afford insurance. For tens of millions of others, it has been a source of hardship and frustration, resulting in canceled coverage, higher premiums (often to pay for services they don’t want or need), higher deductibles and out-of-pocket medical spending, limited choice of doctors and IRS penalties. An alternative approach to reform that appeals to both groups – as well as to insurers, doctors, hospitals, drug makers and other health industry players – so far has proven elusive. 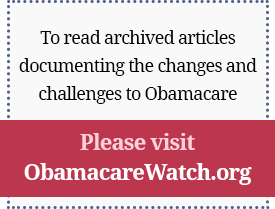 Until such an alternative emerges, Obamacare will continue to stir controversy.